Consumer electronics giant Samsung on Friday unveiled a couple of brand new Android-based tablets at the ongoing Consumer Electronics Show (CES) in Las Vegas. Both of the new devices have been positioned as the "Pro" versions of the company's existing Note and Tab, and thus have been aptly named the Galaxy NotePRO and the Galaxy TabPRO. 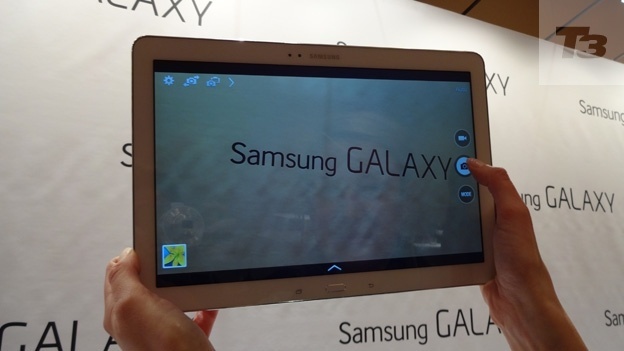 The Galaxy NotePRO runs on Google's Android 4.4 operating system, and features a 12.2-inch screen that offers a resolution of 2560 by 1600 pixels. The Wi-Fi and 3G versions of the tablet are powered by an Exynos 5 Octa processor, while the Snapdragon 800 2.3GHz processor powers the LTE models. It also accompanied by Samsung's S Pen. The Galaxy TabPRO, which comes in 12.2-inch, 10.1-inch and 8.4-inch sizes, also runs on Android 4.4 operating system, and comes equipped with the same Exynos 5 Octa and the Snapdragon 800 2.3GHz processors for different models. The top-end model's screen offers a resolution of 2560 by 1600 pixels. In September last year, the South Korean manufacturer released its first smart watch called Galaxy Gear, which has been designed to be used in conjunction with various Samsung devices such as the Galaxy Note. Samsung has plans to bring its just unveiled NotePRO and TabPRO devices to market sometime before the end of current quarter; however, there are no pricing details about the devices yet.